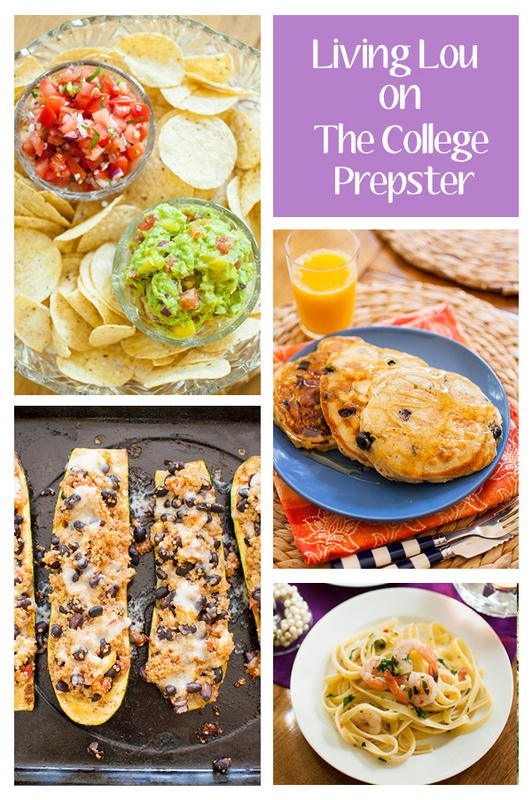 Over the summer I started a fun cooking series on TheCollegePrepster.com. Carly runs a great lifestyle blog geared towards college students and 20-somethings. I’ve been posting over there twice a month and sharing easy new recipes for 20-somethings and college students alike that I think you would all love. Even though these are simple, back to basics sort of recipes, I think these recipes are really something that anyone would want to make. I’m such a huge foodie so anytime I get to work on recipe development outside of the walls of Living Lou it’s a good thing in my books. Also you’re probably looking at this picture and thinking “Five new recipes? I only see four.” Don’t worry, my math skills have not deteriorated that much since high school math, for my “girls night in” post I shared two separate recipes. Shrimp Scampi this was a really fun recipe to work on, it’s a take on my 5-ingredient shrimp and pasta dish I’ve shared here before. I wanted to fancy it up a bit to make it a little extra special. I think this is the kind of recipe and dish to make if you’re looking to impress your boyfriend or girlfriend. Girls Night In: Salsa & Guacamole Up next was a girls night theme, which is so much fun because is there anything better than having a few girl friends over for a night of catching up? This theme worked out perfectly because I was even able to have a couple of my friends over to enjoy the final dishes. A refreshing salsa and perfect chunky guacamole with chunks of mango were thoroughly enjoyed by everyone! Mexican Quinoa Stuffed Zucchini is definitely my favourite recipe from this series, I posted a picture on Instagram and had people begging for the recipe. And if you’re thinking that it’s wrong to pick a favourite, I don’t care. I was inspired by some of my favourite Mexican flavours that you would find in a taco, but I wanted to highlight some of the bounty of the season. I made a delicious Mexican quinoa dish and then roasted up some zucchini with chili powder before combining them into one dish with a little cheese. Anything Mexican is A-okay to me. Blueberry Lemon Pancakes the series wasn’t complete without a brunch recipe because word on the street is that millennials spend more time planning brunch than actually eating brunch. Which does not surprise me in the slightest. Every weekend, my Instagram feed is full of people brunching and I’m always jealous of their yummy looking brunches. I wanted to make something that was equally as enviable but that could be made much more affordable and made at home, so voila, a classic blueberry lemon pancake recipe was born. Be sure to try these recipes and leave me a comment letting me know what you think! 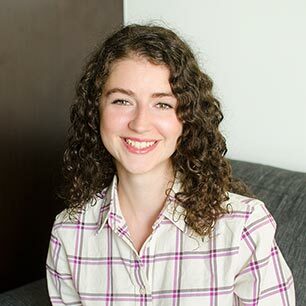 And stay tuned, for the next while, every other week you can find me sharing new recipes, tips and tricks over on The College Prepster. All of these recipes look super delicious. This an awesome collection of recipes, Louisa! That gorgeous stuffed zucchini is definitely calling my name! Thanks Sarah, you should definitely give it a try!